More than 20 members of Jump Simulation, a part of OSF Innovation and a collaboration between OSF HealthCare and the University of Illinois College of Medicine Peoria (UICOMP), were chosen to make presentations at the 2019 International Meeting on Simulation in Healthcare (IMSH), January 26 – 30. 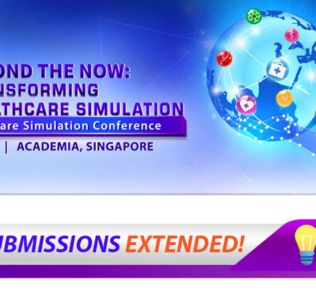 The annual conference is the largest gathering of simulation health care professionals in the world. 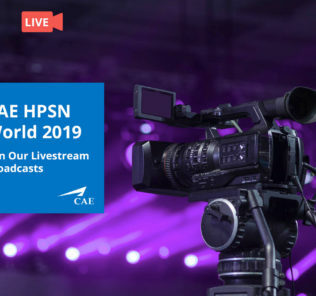 More than 2,500 hundred attendees can learn best practices from each other, find areas for collaboration and hear about the latest healthcare simulation specific products. There are well over 100 workshops and presentations over the course of three days. Ten of those presentations come from Jump Sim and UICOMP personnel. Learn more about these presentations along with the numerous courses and resources available on the Jump and OSF Healthcare websites linked below! Jump Simulation was created to improve outcomes and lower health care costs through innovative simulation training of medical professionals. We are part of OSF Innovation, an initiative that was created as a means to embrace change and take on the largest health care challenges. Jump Sim programs and objectives are key to improving the safety, effectiveness and efficiency of care for community members across the region. 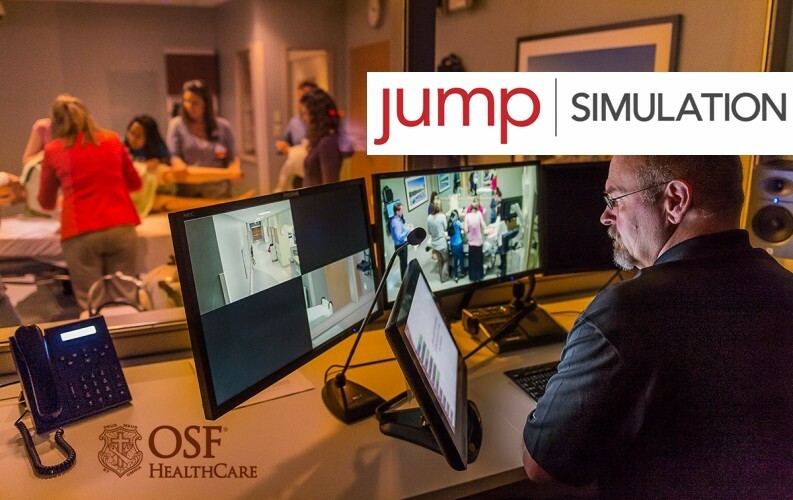 A collaboration between OSF HealthCare and University of Illinois College of Medicine Peoria (UICOMP), Jump Sim advances the Missions of both organizations. OSF HealthCare, an integrated health system owned and operated by The Sisters of the Third Order of St. Francis, Peoria, Illinois, includes OSF Healthcare System consisting of 13 acute care facilities and two colleges of nursing. In the spirit of Christ and the example of Francis of Assisi, the Mission of OSF HealthCare is to serve persons with the greatest care and love in a community that celebrates the Gift of Life. Upon completion of this course, participants will have the beginning skill set necessary to define objectives for a simulation-based learning activity, develop a simulation that will allow learners the opportunity to demonstrate observable behaviors related to identified objectives, utilize the GAP format in debriefing and describe their methodology for evaluation of their simulation-based learning program. The cost for this course is only $520, but space is extremely limited — so hurry and learn more to register here! List specific strategies to foster learning conversations and reflective practice. Formulate simulation scenarios based on learning objectives. Discuss the role of feedback and debriefing in learning and performance improvement. Description: Utilizing VR authoring software, a complete Mass Casualty Incident Triage Training experience (with assessment) was created from simple diagrams and movies taken on an iPhone. Description: In this pilot study, first-year residents were exposed to virtual standardized patient (VP) simulations to explore the feasibility of incorporating VP simulation into an existing curriculum focused on High Value Care (HVC). VP simulation allows for rapid, repeated presentation of multiple cases, standard avatar responses, and immediate formative feedback. Results, while not statistically significant, suggest that performance on VP simulation is positively correlated with performance on standardized participant (SP) simulations. Description: Virtual standardized patient (VP) cases were developed by UICOM-P faculty using the USC Standard Patient avatar-based platform, in order to provide an additional assessment tool for first-year residents in a High Value Care (HVC) curriculum. The case authoring process required faculty to customize avatar response content, ensure the avatars responded appropriately to learner queries, and arrive at consensus on scoring and feedback items. Post-simulation analysis provided faculty with insights into learner test ordering, while learner feedback gave insight into areas for improvement for future case iterations. Description: We will be exploring the concept of utilizing simulation specialist to their maximum potential within a simulation center. Identifying different backgrounds that simulation specialist offer to a simulation center and how you can utilize their knowledge and experience but also identifying their limitations. Description: The aim of this panel discussion is to provide participants with a summary of our CVC simulation program and to provide a summary of an economic analysis of the current annual value of the associated cost avoidance. Our program provides standardize education and training across multiple disciplines and specialties. We aim to enhance human performance, reduce clinical errors, provide better outcomes and decrease avoidable healthcare costs. Participants will be able to describe the current state of VR simulation-based education program evaluation. Participants will be able to outline the need for cooperative effort to evaluate various simulation-based educational modalities. Participants will be able to apply tools to evaluate impact of virtual reality SBME. Describe the ROI of health care focused STEM programming for a Simulation Center. Identify simulation program resources that can be utilized in STEM programming. Construct a STEM program implementation plan. Learners will be able to describe at least 5 measures for assessing quality and providing feedback for simulation education programming. Participants will identify possible etiologies of significant difference(s) between anticipated program impact and actual implemented performance and outcome measures. Learners will identify at least 1 tool that can be implemented, in their home work environment, to assist in a systematic simulation education program evaluation. Visit the JUMP Simulation Website for Complete Course Listings and Updates for #IMSH2019!